What is Kindertude? It is a word I made up to define the attitude a Kindergartner gets when he/she starts school. I remember when Brayden was a one year old and many of my friends had children starting Kindergarten. I remember them talking about the attitude that crept up. I recalled those days when Brayden was young and consulted with my friends with older children. Was this normal? Did you see this happening with your child? I got a response 100% in the affirmative. I don’t remember exactly when he snapped out of it, but I do know that by first grade, it was gone. I think maybe first grade is a bit more humbling. 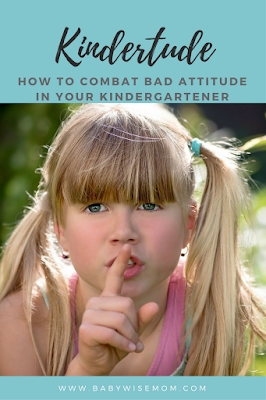 Kindergartners are more protected from the big kids of the school (at least with half day kindergarten). In first grade, they eat lunch with the big kids, have recesses with the big kids, and all around realize they aren’t so big after all. Now let’s flash forward to Kaitlyn. Her Kindertude has been more magnified than Brayden’s. Hers has extended into being very impatient at times with younger siblings (ahem, McKenna) at home. Not only does she have the “I am so smart” thing going on, but she puts more pressure on herself to be perfectly behaved. She is also very aware of proper social manners, where Brayden is pretty oblivious, and I think it is exhausting for her to be so “on” for school. So far as I am aware, Kaitlyn hasn’t made one social mistake at school. She is on her best behavior at all times. Her teacher is always telling me how great she is, helpful she is, good she is…I think she just gets tired. Here is an interesting thing. Neither of my children had this issue in preschool. Both went to preschool three days a week for several hours each day and never picked up the “kindertude.” So I think part of this must be caused by it being an age thing. In other words, it is partially developmental. You child realizes there is a big world outside the home. Her world is expanding and she is figuring out how to manage all of that in her head. Your child is starting to grow up, but still wrestling with the desire to just be a kid. She wants to be more grown up, but wants to be (and IS) a kid. The good side of this transition is your child will learn to be more responsible and will be more responsible at home if you encourage, comment on, and thank for that behavior. Feeling “wise in her own eyes.” Your child might feel like a big girl now that she does this all important thing of leaving the house each day. Have some patience. To an extent, this is normal for the age. That doesn’t mean you let her talk back to you or be grumpy at home. It just means you don’t take it personally and don’t freak out that your child is morphing into something. Maintain structure at home. Still have independent playtime when able, rest time when able, chores each day. Keep a routine at home. Have free play. In your routine, make time for creative and free play. Your child will not have a lot of play at school, so make sure you have that in her day so she is well-balanced. Encourage childhood. Keep your expectations of your child appropriate for her age. Remember the funnel. Keep her in her funnel. Make sure she knows you are okay with her being a child right now. Teach her well at home so she is less inclined to pick up on bad habits. When she does, gently remind her of appropriate behavior. Talk to her about her day. Spend some time with her each day when she comes home (or as soon as you can after she comes home) talking about what she did and how she felt. Many times, children are more willing to talk if you are doing another activity, like folding laundry, washing dishes, baking cookies, coloring, etc. It is less intimidating than sitting and being stared down by a parent. Remind your child when her behavior is not okay. Be compassionate, “I know you are very tired from being at school, but you do not get to treat your sister that way.” Remember to be positive, directive, and to use the virtue rather than the vice. Here are some related posts: Teach What is Right, Not Just What is Wrong, Childwise Principle Four: Instill Morality and Behavior Will Follow, and The Golden Rule (and the Platinum Rule). Your child will not keep the Kindertude forever. As she gets older, realizes she isn’t so “big” after-all, and as you guide her through it, she will get back to her normal self. So interesting! Hopefully she can adjust to the napping situation. Do they try to do nap/rest time at school? i heard 30 min quiet/rest time but i think some kids can do journal time or what not……i don't really know what it looks like as i've never seen it in person but from the description i don't think it's really nap time! I am not sure if any kids crash during it or not?? maybe OT kids, who knows. i know mine won't sleep in that. DD1 rides the bus home and some of the 5 yr olds fall asleep on the bus ride and i'm sure it is noisy! They are just wiped out! (and where we are we actually have K-12 on the same bus…they started that lately and of course the young kids up front and older in the back…anyways i imagine the bus is loud but some crash….i suspect a lot of these kids probably don't do EBT,etc either and maybe are a bit OT) anyways it will be interesting for sure! today DD2 didn't nap and she has circles under her eyes and a grump! I have just started with the phase with my 5 year old son. He is tired from school when he comes home and is grumpy and rude. What kinds of consequences do you employ when you know they are tired? In your example, "I know you are tired from being at school but you don't get to treat your sister that way", do you then give a consequence? If so what? I would expect a huge meltdown from my son at that point. Also how much do you think we should help them out without being enabling? My son takes a shower on his own for the most part, but on these days he does much better if I bathe him to avoid demands being placed in him and avoid conflict. But am I enabling him or would the be considered preventative?? I don't think you've seen my post from above. I'm still in need of help! We've got Kindertude bad! Everything is a battle from homework to playing with his sister. I'm just not sure what consequences to give for this (arms crossing, foot stomping, messy homework, etc) all because he is just wants to pick a fight it seems like. And then 30 min later he's back to normal leaving me in a bad mood, only to start up again in another 30 minutes. Ugh! Wow, this was so helpful for me I want to cry! Thanks! !